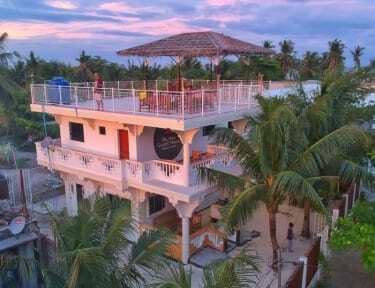 Be One Guesthouse at Malapascua Island v Malapascua Island, Filipíny: Zarezervujte nyní! Our place is in the heart of the filipino community. Its a true experience to live side by side with the locals. With neighbours greeting you good morning and kids giving you a high five as you pass by. The malapascuan people is really friendly and warm hearted and a new friend is never far away. You will leave the island with another type of experience that is hard to find elsewhere. Here in the house is also rebeccas family living. Right now 2 lovely daughters, her grandson at 2 years and the cutest cat, without a tail, named Mimi. We also have a longing to help the local community here and their families. So we are supporting needs for them. Foods, home equipment, medication. A little goes a long way. If you want to you are always welcome to join us to help. See the happiness of giving to other people. Thats the meaning of Be One.